Learn from legendary artists making an impact on our industry’s past, present and future at our Main Stage Keynotes. These not-to-miss sessions allow artists and industry insiders at all levels of the industry to watch, listen and learn. The Keynote & Business Forum is a must for the attendees who want to learn how to advance their own artistry and careers. *Keynote presentations are included in your show ticket. 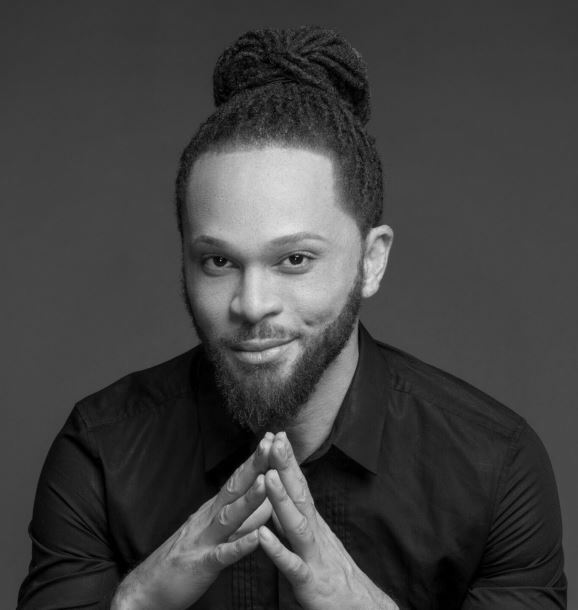 When it comes to building the perfect, professional makeup kit and breaking down the ingredients in your favorite product, there is no industry voice more knowledgeable than Kevin James Bennett. In this first time keynote at The Makeup Show, the makeup master behind so many brands offers his assessment of what every artist should be carrying in their kit. He will review the essentials for every media format, help you separate the actual needs from the wants in an ever growing market and offer insight on what are the actual must-haves for the makeup pro. Listen in as he offers advice on on the significance of formulation knowledge as a pro tool, breaks down basic formulas, demonstrates the process of editing a kit for efficiency and demystifies consumer and professional product. Makeup Artist Timothy Hung has taken the title of makeup artist to new levels. With knowledge in fashion and art and the ability to combine the passions that drive him, Timothy creates and captures works of art that draws the line between makeup art and fine art. In his first keynote at The Makeup Show, you will watch a Master Artist in Action as he takes on the elements of art. Timothy will showcase the visual components of color, form, line, shape, texture and value to take you from fundamentals to the fantastical. Watch and experience how an artist can use color and texture to elevate an application and showcase how two dimensional ideas are adapted to three dimensional in an application. As a makeup artist, photographer, and entrepreneur, Danessa Myricks has mastered the perfect beauty application and made a name for herself as one of the most creative artists in our makeup industry. With the creation of her eponymous line, Danessa Myricks Beauty, and her work in the studio, Danessa continues to creatively combine art and product manipulation as she did in her role as Director of Innovation for Benefit Cosmetics. Her insight and ability to guide others on how texture, color, product payoff, and lighting can synergize on camera is unmatched. In this first time keynote, Danessa shows us why a multidimensional strategy is key to producing impactful images. She shares her tips for manipulating texture, maximizing color, and creating dimension which sets the tone for creating memorable images. An Artist Conversation: 4:30 – 5:30 PM James Vincent, Kevin James Bennett, Danessa Myricks, Lori Taylor-Davis and Jon Hennessey. In a business that is constantly changing, professional artists are making their money and making their mark in many different ways. With the influx of social media, the celebrity makeup artist and makeup influencer titles have become very common creating opportunity, options and also controversy. In this important panel, we will explore the similarities, the disparities and the disputes. Our panel of experts from the very traditional career artist to today’s multimedia makeup darlings, discuss the different options available to you and offer opinion and advice on everything from rates, bookings, creating beauty, having a career with integrity and the important relationship between art and influence. 3:45-4:30 Trucos para lucir una piel de Porcelana. The application an artist decides to emphasis the eyes can make all the difference. In this hands-on workshop, we will explore the use of color, texture, and placement in creating shapes and illusions with multiple product options. We will discuss product options and the role they play in perfecting application. Learn techniques for lining and defining, understand the power of depth and volume, and explore the relationship between brow, lash and every area of the eye. Whether you are just starting out or elevating your makeup to the next level, this workshop will have you designing and applying a perfect eye for every occasion. The Makeup Show Focus series is designed to help receive information and get to know the brands behind your favorite products. They are hosted by The Makeup Show brands and developed to introduce you to our vendors in a different environment that allows you to touch, try, and take it all in. Take this opportunity to touch each product from Smashbox, try it, talk to a group of your peers and take time to decide for yourself which product becomes one of your must have kit items and learn the features and benefits of each. Let Smashbox show you what they are all about and share their must have for the professional makeup kit. Take this opportunity to touch each product from Temptu try it, talk to a group of your peers and take time to decide for yourself which product becomes one of your must have kit items and learn the features and benefits of each. Let Temptu show you what they are all about and share their must have for the professional makeup kit. Take this opportunity to touch each product from MUSE Beauty Pro, try it, talk to a group of your peers and take time to decide for yourself which product becomes one of your must have kit items and learn the features and benefits of each. Let MUSE Beauty Pro show you what they are all about and share their must have for the professional makeup kit. Take this opportunity to touch each product from Stilazzi, try it, talk to a group of your peers and take time to decide for yourself which product becomes one of your must have kit items and learn the features and benefits of each. Let Stilazzi show you what they are all about and share their must have for the professional makeup kit. Take this opportunity to touch each product from Crown Brush, try it, talk to a group of your peers and take time to decide for yourself which product becomes one of your must have kit items and learn the features and benefits of each. Let Crown Brush show you what they are all about and share their must have for the professional makeup kit. 1:00-2:15 Working on Global Skin Tones: Marietta Carter- Narcisse for Makeup Atelier Paris. 12:45-2:00 Basic Out of Kit Effects for Halloween: JD Kramer for Alcone. 2:15-3:30 Discover the Power of Permanent Beauty & Earn 4x More: Cristina Pina for Nouveau Contour.